Sprint on Monday officially announced its intentions to acquire 100% ownership of Clearwire. Sprint is already in a “definitive agreement” with the smaller data provider and will acquire the nearly 50 percent of the company it doesn’t own yet for $2.2 billion, or about $2.97 per share, which places Clearwire’s value at $10 billion. Sprint hopes that the additional spectrum (the 2.5GHz frequency spectrum) gained through the Clearwire purchase will help it compete more effectively against AT&T and Verizon Wireless in the United States, especially as it continues to roll out its 4G LTE network. Sprint said the acquisition is still subject to regulatory approval — AT&T is already calling for a close inspection — but that it expects the deal to close by the middle of next year. OVERLAND PARK, Kan. & BELLEVUE, Wash. (BUSINESS WIRE), December 17, 2012 – Sprint (NYSE:S) today announced that it has entered into a definitive agreement to acquire the approximately 50 percent stake in Clearwire (NASDAQ: CLWR) it does not currently own for $2.97 per share, equating to a total payment to Clearwire shareholders, other than Sprint, of $2.2 billion. This transaction results in a total Clearwire enterprise value of approximately $10 billion, including net debt and spectrum lease obligations of $5.5 billion. The transaction consideration represents a 128 percent premium to Clearwire’s closing share price the day before the Sprint-SoftBank discussions were first confirmed in the marketplace on October 11, with Clearwire speculated to be a part of that transaction; and, a 40 percent premium to the closing price the day before receipt of Sprint’s initial $2.60 per share non-binding indication of interest on November 21. Clearwire’s spectrum, when combined with Sprint’s, will provide Sprint with an enhanced spectrum portfolio that will strengthen its position and increase competitiveness in the U.S. wireless industry. Sprint’s Network Vision architecture should allow for better strategic alignment and the full utilization and integration of Clearwire’s complementary 2.5 GHz spectrum assets, while achieving operational efficiencies and improved service for customers as the spectrum and network is migrated to LTE standards. The transaction was unanimously approved by Clearwire’s board of directors upon the unanimous recommendation of a special committee of the Clearwire board consisting of disinterested directors not appointed by Sprint. In addition, Clearwire has received commitments from Comcast Corp., Intel Corp and Bright House Networks LLC, who collectively own approximately 13 percent of Clearwire’s voting shares, to vote their shares in support of the transaction. SoftBank has provided its consent to the transaction, as required under the terms of its recently announced merger agreement with Sprint. In connection with the transaction, Clearwire and Sprint have entered into agreements that provide up to $800 million of additional financing for Clearwire in the form of exchangeable notes, which will be exchangeable under certain conditions for Clearwire common stock at $1.50 per share, subject to adjustment under certain conditions. 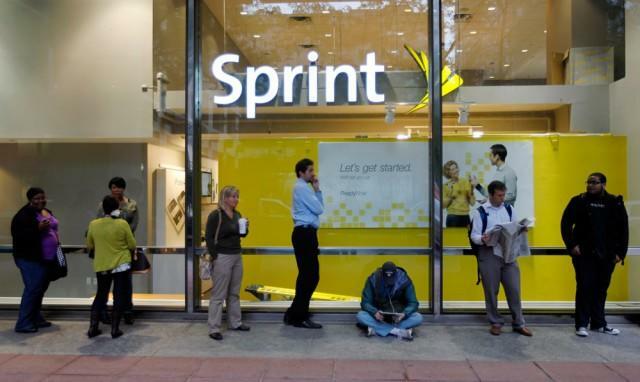 Under the financing agreements, Sprint has agreed to purchase $80 million of exchangeable notes per month for up to ten months beginning in January, 2013, with some of the monthly purchases subject to certain funding conditions, including conditions relating to the approval of the proposed merger by Clearwire’s shareholders and a network build out plan. The transaction is subject to customary closing conditions, including regulatory approvals and the approval of Clearwire’s stockholders, including the approval of a majority of Clearwire stockholders not affiliated with Sprint or SoftBank. The closing of the transaction is also contingent on the consummation of Sprint’s previously announced transaction with SoftBank. The Clearwire and SoftBank transactions are expected to close mid-2013. Citigroup Global Markets Inc. acted as financial advisor to Sprint and Skadden, Arps, Slate, Meagher & Flom LLP and King & Spalding LLP acted as counsel to Sprint. The Raine Group acted as financial advisor to SoftBank Corp. and Morrison Foerster LLP acted as counsel to SoftBank. Evercore Partners acted as financial advisor and Kirkland & Ellis LLP acted as counsel to Clearwire. Centerview Partners acted as financial advisor and Simpson Thacher & Bartlett LLP and Richards, Layton & Finger, P.A. acted as counsel to Clearwire’s special committee. Blackstone Advisory Partners L.P. advised Clearwire on restructuring matters. Credit Suisse acted as financial advisor and Gibson Dunn & Crutcher LLP acted as counsel to Intel.